Choosing to join the U.S. Army is a big decision. Some Cadets know from a young age that they want to join the military, while others decide in college. For Cadet Paul Klotz a somber day two years ago defined his future and caused him to make the commitment. “I don’t know, it’s just that funny feeling you get where you want to do something that matters for yourself and for others, and the motivating factor for me to actually join was him,” said Klotz, from the University of Wisconsin, Stevens Point. Cadet Paul Klotz from the University of Wisconsin-Stevens Point chose to join the Army in memory of his late mentor, Green Beret Sgt. Todd Pruett. Klotz graduates from LDAC on Friday, August 3rd at Joint Base Lewis-McChord, Wash. U.S. Army photo by Jesse Beals. The “him” Klotz refers to is the late Green Beret Sgt. Todd Pruett. Pruett had served in the U.S. Army Special Forces for many years until his honorable discharge. He then rejoined his family floor covering business and coached sports in his West Bend, Wis. community. “Todd was my friend and mentor. I grew up with his kids and he was my coach growing up,” said Klotz. Pruett passed away after a courageous battle with acute leukemia. The community had embraced the Soldier, holding bone marrow drives and wearing shirts with the slogan “Do it for Pruett” throughout town. One of the drives was held at Klotz’s parent’s grocery store, ‘Klotz Piggly Wiggly’ in their hometown. The retired Soldier passed away on July 4, 2010, a day that changed Klotz’s life. 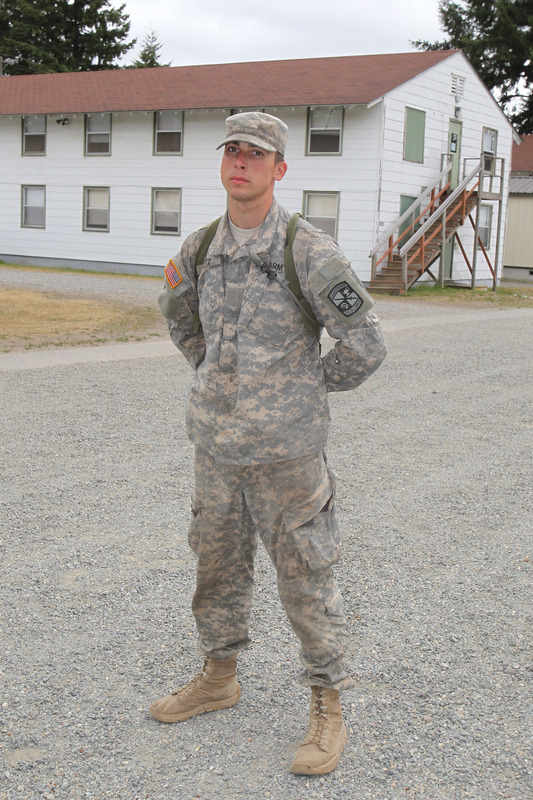 Klotz, still in college, decided to join the Army ROTC program and become an Officer. Klotz’s plan is to complete the Leader Development and Assessment Course (LDAC) and graduate college next year with his social science degree, after which he will join the infantry. He said that his parents understood this was something that he had to do. “Both my parents supported my decision. My mom cried a lot, but said she was still really supportive,” said Klotz. Klotz said he enjoyed LDAC, and is glad he chose the route he did in memory of Pruett. Klotz said the biggest skills he gained from LDAC were ways to communicate. “Here you are forced to be actively social and be around people you wouldn’t normally be around and talk to. It’s about being open to everybody and never judging a book by its cover, as cliché as that sounds,” said Klotz. Outside of ROTC, Klotz’s hobbies are sports, just like his mentor, Sgt. Pruett. Pruett served as a leader and role model to the youth of the community by coaching baseball, football and wrestling. Klotz hopes to lead his troops with the same kind of passion that the late Pruett did. “I think about him all the time,” said Klotz. “He’s my mentor for the military aspect of my life”. Klotz succeeded in honoring the town-wide slogan “Do it for Pruett”.